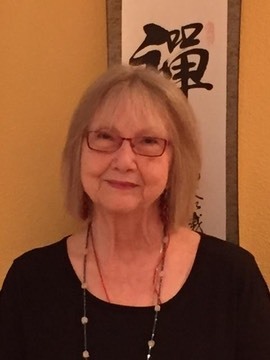 June 2019, Silent Auction, Picnic, Readings at Sandra-Leigh’s. When forecasting future experience the Progressed Moon is often overlooked; however it is a valuable predictive tool. This lecture will look at the Progressed Moon as it transits through the houses, and as it changes signs. We will interpret the Progressed Moon as it aspects other natal, progressed, and transiting planets. Also, we will look at the Progressed Moon by declination, and the Progressed Moon lunation cycle. Why am I always attracted to these people?� Some people are always asking this question when they continuously get into relationships that are not satisfactory.� In this workshop we will be looking at what we look for in a chart to see who we are looking for in a relationship, we will look at famous couples to see the type of people they are looking for, and then we will look at our personal charts to see who we are looking for. Ray Merriman is coming to Boulder Friday, April 26, 2019 at 7 PM, $45/$55, register early! Naropa Nalanda Campus, Room 9235. His lecture:�An overview of Financial Markets, the Economy and the Political Climate: Approaching the Edge of a Cosmic Cliff.”An evening with Ray Merriman.�Contact Patti Simmers, patti.simmers@comcast.net, 720-989-8822 to register.